USANA, word! : Why Do We Need Nutrition? Why Do We Need Nutrition? When we are out and about and see lots of vitamin shops, the shops are always filled with people who eager to find good ‘health’ from the bottles displayed on the shelves, have you ever thought why do I need nutrition? 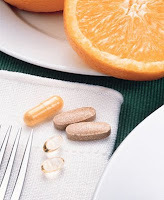 We all want to stay healthy, but what’s the benefit of taking nutritional supplements? We could spend hours counting up the numerous benefits, however through listening to others’ stories and see how they got involved in the ‘nutrition revolution’, could this prove inspiring to you? I recently asked this question to some of my colleagues in USANA Australia and New Zealand, and found they all have a story to tell – and trust me, it’s not because they are USANA employees, it’s because that they actually need additional nutrition, just like you. “Around the time I started at USANA, I was suffering through periods of tiredness where I’d have low energy levels for days. 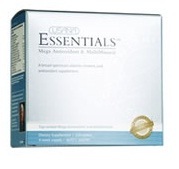 I had taken other brands of multivitamins before but it didn't seem to have made a difference to my overall health. I decided to give USANA Essentials a try and I felt like my old self and had tons of energy every day – even after putting in a long day at work! “Before I started taking nutritionals, I thought I was very healthy, really. I am in my early 30s and have a healthy lifestyle – I go swimming; eat at least two varieties of fruit every day; drink lots of water; don’t smoke; don’t drink; don’t stay up late in the evening… you name it! And I haven’t been sick for at least two or three years! However, in my last blood test, my GP told me that my Vitamin D level was very low and I had to take Vitamin D supplement, or… I don’t want to share what my GP said with you after that word ‘or’. 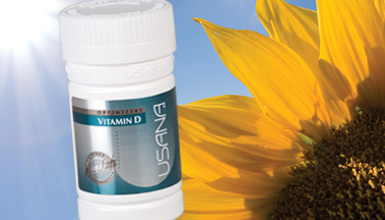 But I was scared enough to get a bottle of USANA’s Vitamin D on the following day. There is a nutrition training session happening tonight at USANA head office in Castle Hill Sydney. USANA Associate, Casey De Croon will be discussing “Why we need nutrition”, for anyone who thinks that they get everything from their diet. If you want to know more about the whys, please arrive by 7.20pm tonight (August 10) and the training will start at 7.30pm. Hope to see you guys there! Note: Vitamin supplement should not replace a balanced diet. Use only as directed. Always read the label.